SEATS ARE FOR OFF ROAD USE ONLY. 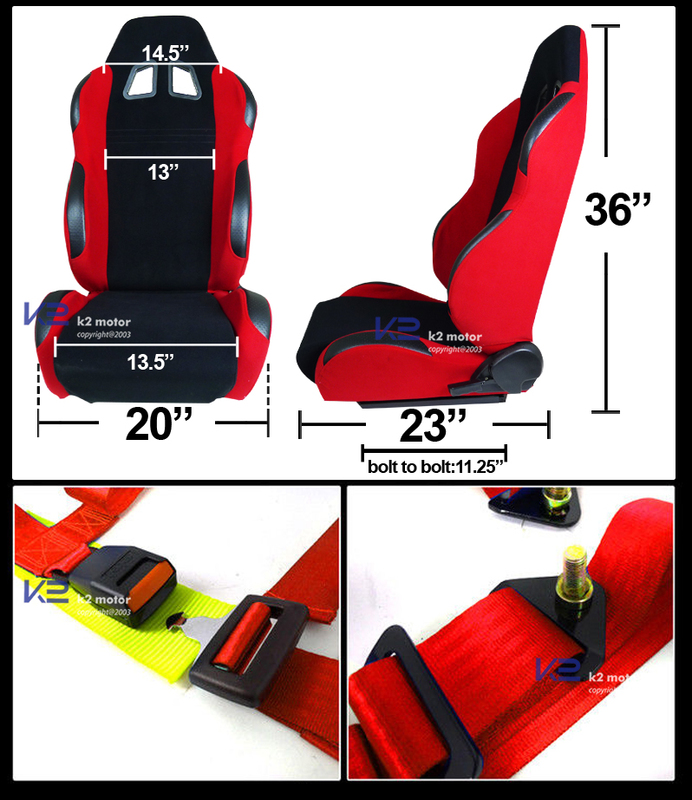 Pick from our wide selection of quality Reclinable Sport Racing Seats + 4 Point Red Harness Belts (2PC) and enjoy the great deal! 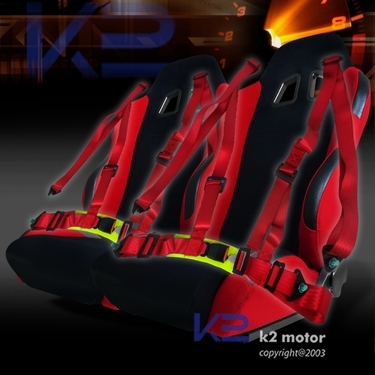 Brand New: Reclinable Sport Racing Seats + 4 Point Red Harness Belts (2PC). 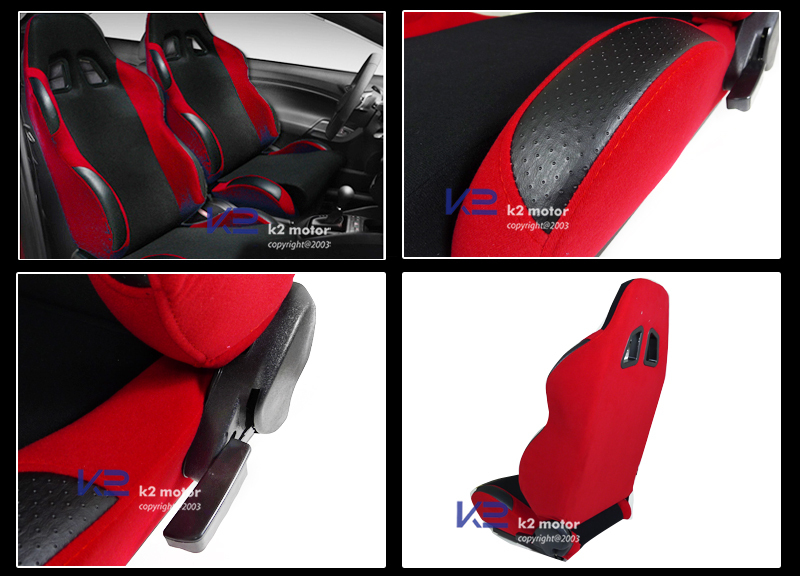 These reclinable racing seats are design and dedicated to give driver lateral support without sacrificing the need of daily driving vehicles. 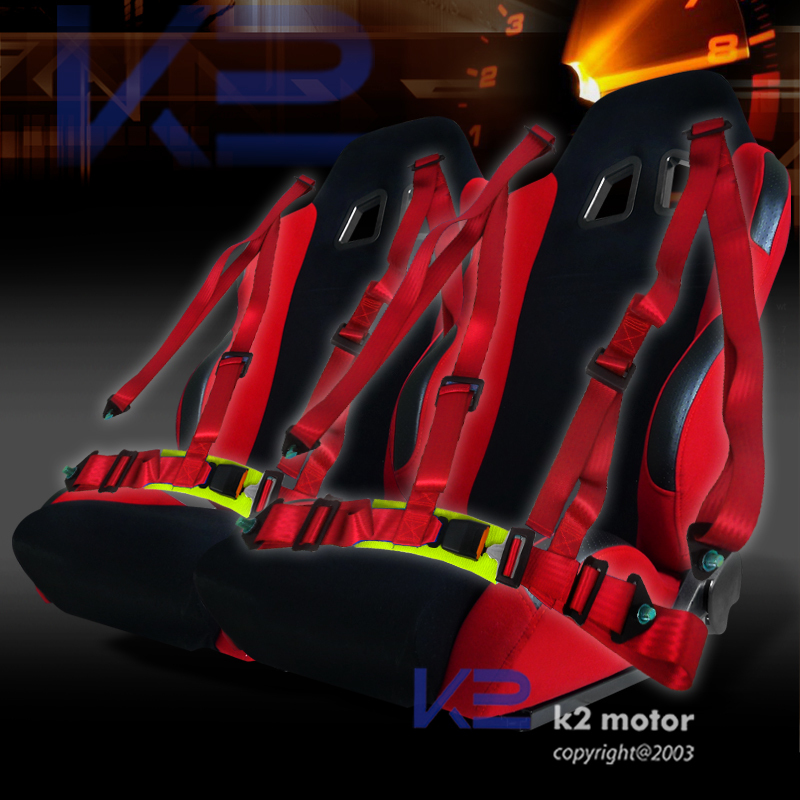 Our racing seats provide redesigned head, shoulder, side, and knee support. Our racing seats also feature light-weight design. This comes with a pair of 4 point racing harness seat belts. Complete your set of racing seats with this combo item that you've always wanted. Add a finishing touch to the interior of your ride today! SEATS ARE FOR OFF ROAD USE ONLY.